(Had I already posted this? Well, it's still like this). Baby knits are so much better, at least when they are newborns. 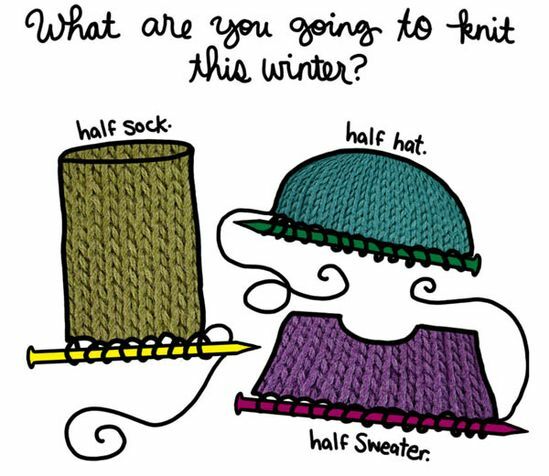 In a couple of days you get to finish a sweater. Amazing. here the pattern, still needs to be blocked and I also need to find the right buttons. I already have another cardigan on my needles and then a sleeping bag/cocoon with matching hat. My Color Affection shawl is almost done...I'll bring it with me on the train tomorrow. Yep! Going home finally! So I'll be furiously knitting for 12 hours...if I don't pass out before.